Hatay Airport located at southernmost of our country was opened on December 9, 2007. It is 30 km far from Iskenderun and 25 km far from Antakya. Mutual flights to Turkish Republic of Northern Cyprus started on September 4, 2008 in international arrivals at the first stage. 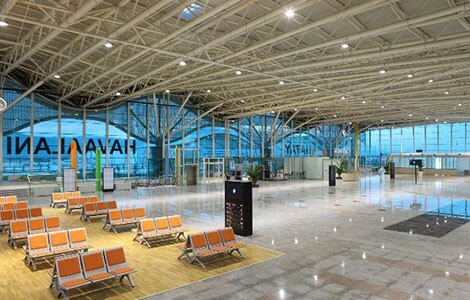 With its terminal building completed on March 8, 2011, Hatay Airport with an ever-increasing traffic and newly added flights to flight schedules has a steadily rising passenger traffic. Being an important international border gate, Hatay has now become a city that can be reached by airway as well.